The Politics of the Wall is now really rolling heads. Owing to the Partial Government Shutdown, the TSA (Transportation Security Administration) officers may quit their jobs very soon. They have been working without a paycheck since there is a shut down at Washington DC. The TSA officers in the Sea-Tac Airport are vocal about their problems. If they quit, there would be chaos in the security checkpoints in the airport. As the TSA officers come under the essential services of the Federal Government, they are still in jobs. But, owing to the non-payment, this might not last, as a local union president said. 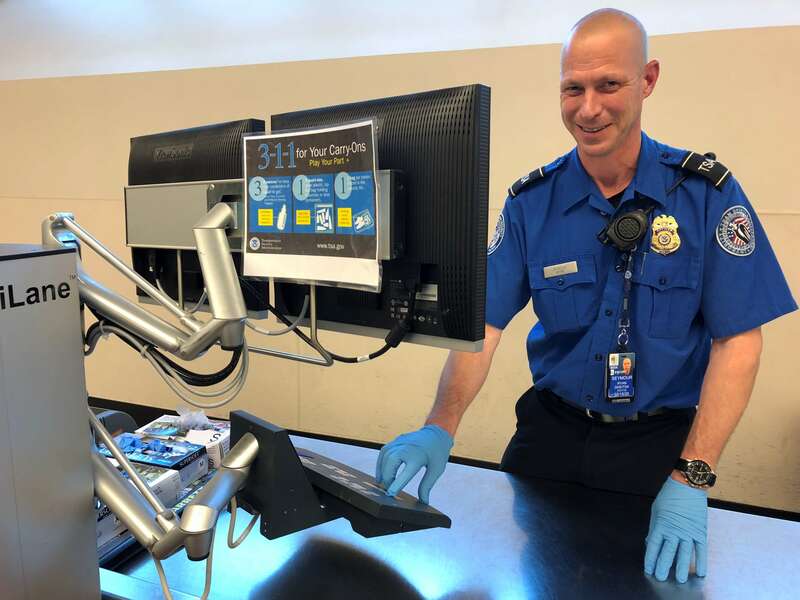 Cairo D’Almeida, the AFGE Local 1121 President, said that if the officers did not get payment within a week, they would have to look for other jobs or get a part-time job or would have to quit TSA. Without payment, the TSA officers are now facing difficulties sustaining their families. If they quit, the number of officers at the checkpoints would be reduced, and there might be longer lines at the checkpoints. This way, the airports might see compromise in the security as well. TSA said in a statement that security effectiveness would not be compromised and performance standards would not change. Waiting time might, however, be affected. Air travelers said that politics in the Washington DC was frustrating for them. They were unhappy the way the Congress and the President were handling the situation. One traveler questioned Trump saying if the President was so concerned about the national security and insisting on the border wall, why is he not thinking about the security at the airports. It should be reported here that there has been a partial Government Shutdown because of the disagreement between the President and the U.S. Congress on U.S. – Mexico border wall issue.